Two Albuquerque Police Department Officers are being recognized on a national stage. 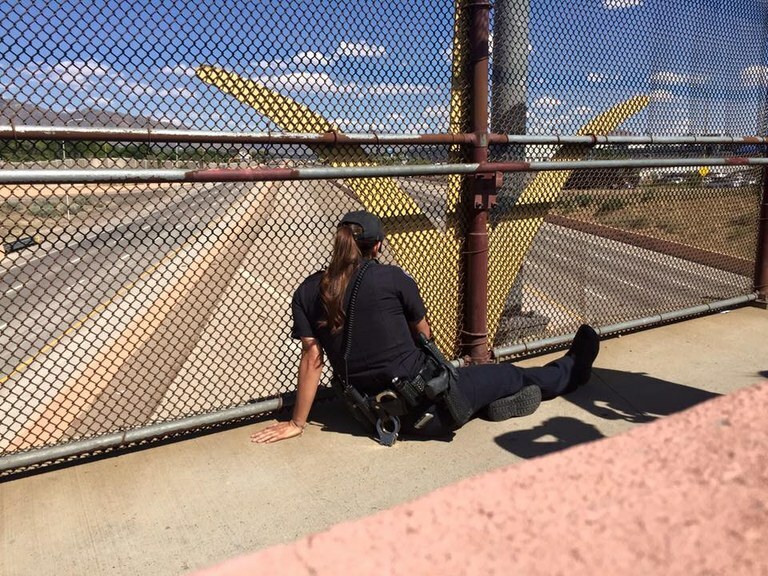 Officers Candace Bisagna and Brandi Madrid saved the life of a man who was threatening to commit suicide by jumping off a freeway overpass on May 29, 2016. The officers were able to use their de-escalation and Crisis Intervention Training and successfully get the man to safety. They also helped connect him to resources. News of their heroism spread across the country and the officers were nominated and selected as the National Law Enforcement Officers Memorial Fund – Officers of the month for October 2016. You can read the national press release here: http://www.nleomf.org/officers/month/otm-archive/october-2016-officer-of-the-month-award.html. The officers will be honored during National Police Week at a special ceremony in Washington, DC, next May.